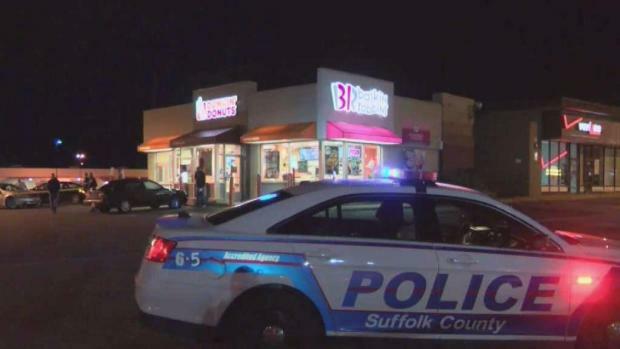 A family accused of holding up a half-dozen stores on Long Island were arrested this weekend after trying to rob a Dunkin' Donuts, authorities say. Wale Aliyu reports. A mother and her two adult children were arrested and charged in connection with seven armed robberies on Long Island, police said Sunday. Deborah Salvatore, 55, and her children, 25-year-old Rick and 31-year-old Lauren Mascia, are accused of pulling off seven knifepoint robberies since Sept. 23, Suffolk County police said. The family allegedly targeted dollar stores, ice cream shops and Dunkin Donuts stores. 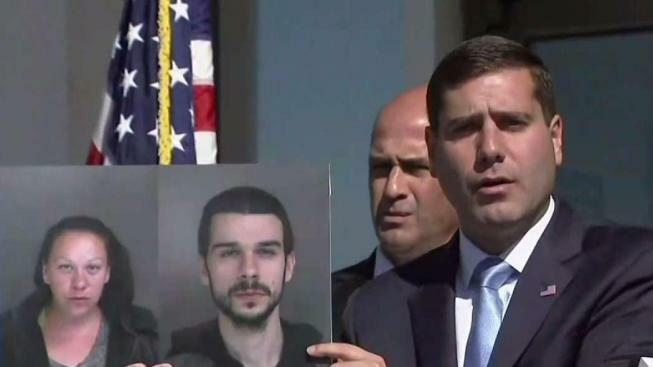 "They committed robberies together, now they'll go to jail together," said police commissioner Timothy D. Sini. A woman robbed a Dunkin Donuts on Long Island and police are investigating whether it was the latest in a string of similar robberies. Rana Novini reports. Police said they nabbed the mother and son on Saturday after a robbery at a Dunkin Donuts in Coram. Rick Mascia went into the store, flashed a knife and demanded money, police said. His mother was the getaway driver, police said. The pair was arrested at the scene and the investigation led police to arrest Lauren Mascia. In all but the last robbery, police said that Lauren Mascia went into the stores and brandished a knife and her brother was the getaway driver. • A Family Dollar in Farmingville on Sept. 23 at 9:50 p.m.
• A Family Dollar Lake Ronkonkoma on Sept. 29 at 10 p.m.
• A Carvel n Farmingville on Oct. 13 at 9:55 p.m.
• A Carvel in Farmingville on Oct. 14 at 10 p.m.
• A Dunkin Donuts in Patchogue on Oct. 16 at 10:33 p.m.
• A Dollar Tree in Medford on Oct. 17 at 9:43 p.m.
• A Dunkin Donuts in Coram on Oct. 21 at 9:45 p.m. The mother is only charged with Saturday's robbery. The daughter faces six charges, for all of the robberies except Saturday's. The son is charged with six counts of robbery. He's not accused of the Oct. 16 heist. All three of them pleaded not guilty to robbery at an arraignment Sunday. Sini said all three family members were addicted to crack cocaine. It's not clear whether any of the family members had lawyers.